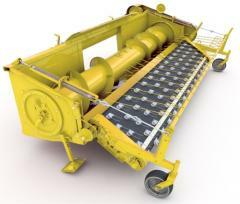 Pick roll harvester Don Polesie. Platform pick grain on the PDE 3.4 Torum, Slavutych. 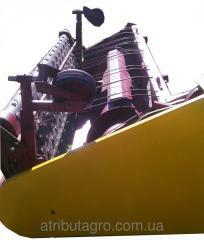 Pick grain PDE 3.4 m Claas, New Holland. Platform pick grain PDE 3.4 on Don, Vector. 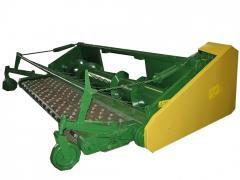 Platform baler grain PDE Axial 3.4 to Case E-514. Platform pick grain on the PDE 3.4 Lexion, John Deere. Platform pick grain on the PDE 3.4 Vector MEDION. Platform-pick grains and legumes at Lexion, Mega. 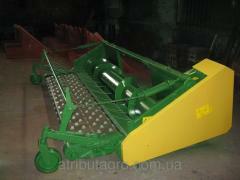 Unbelievable price on Baler in Berdyansk (Ukraine) company AtributAgro, OOO. Wide choice of quality products at affordable prices.